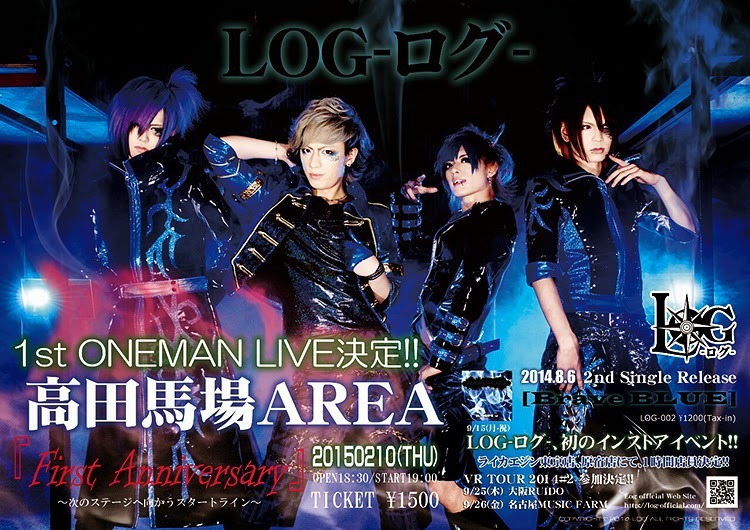 About the band: LOG, comprised of vocalist Vambi, guitarists Narumi and Rumina, and bassist Yuki, is a relatively new band in the Visual scene. Formed in February of this year, they are known for their heavy pop melodies and electronic beats. Brave BLUE, released August 3, is their second single. About the Band: G.L.A.M.S. 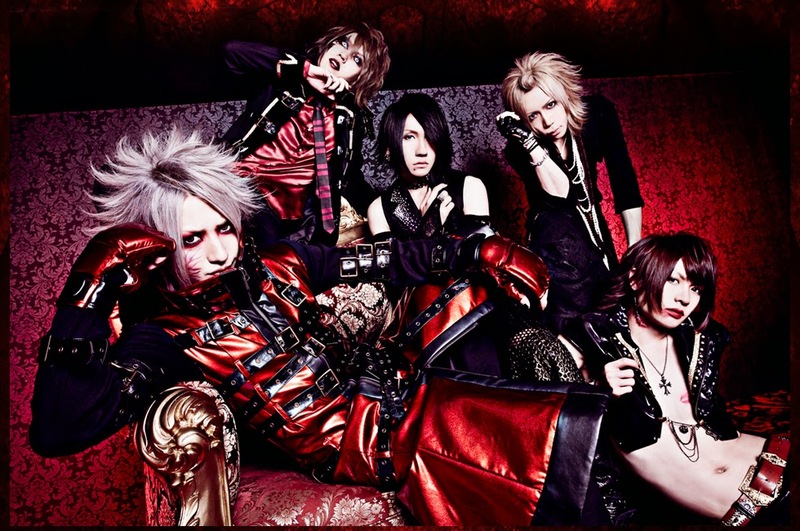 is the solo project of BLACKLINE frontman, Mikaru with Tetsuto on guitar and BLACKLINE drummer, Syu, on DJ. Dubbed “synthetic art,” G.L.A.M.S. kicked off activities with a seven day art exhibition in Paris in February of this year where Mikaru himself greeted fans and showcased his paintings in what could be considered the art capital of the world. In July, he announced the release of his first EP, Under the Moon, and launched a 13 stop tour that would take it all through Europe. And, he’s not stopping there. Just this month, he announced a hand-made jewelry line which is up for sale through the G.L.A.M.S. homepage. About the Band: REIGN is a brand-spanking-new Loud-Kei band made up of ex-AND members Ikuma (Vo) and Kaji (Dr), and newcomers Ryuzi (Ba), Nagi (Gt), and Tano (Gt). Their image is that of mischievous demons and their fans are referred to as Koakuma, or Little Devils. Kyumei is the second of a promised five releases. About the band: 見世物小屋演者集団「メメント・モリ」(Misemono Goya Enja Shudan “Memento Mori”), which translates loosely into Freakshow Performance Group “Memento Mori”, is what I like to call a Neo-Traditional Visual Kei band formed in 2010 by vocalist Ai, guitarists Tsubaki and Jin, bassist Yohan and drummer Yue (unfortunately, Yue has left the band since this performance for medical reasons). Wearing kimono, hakama, and sometimes even samurai armor, they use a mix of hard rock and traditional elements to create a unique sound all their own.